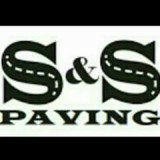 We specialize in asphalt installations, repairs, sealcoating, crack filling, concrete repairs and installations, parking lot striping, all work has a written warranty. Instagram is one of the most popular social networks.It is based on video and picture posts. After Twitter and Facebook, it is the third most- used social networks app. ALLSEAL Sealcoating LLC is committed to providing central Ohio with excellent residential and commercial asphalt services, using premium quality products and building a relationship that will last far into the future, to meet all of your driveway or parking lot needs. Is your parking lot looking like a minefield? Is walking down your driveway bringing back memories of playing hopscotch? If so, you need to be double sure that the company you hire to fix it is experienced, qualified and only uses state approved materials. In Hamilton, OH, that company is Double D Blacktop! We are paving contractors with over 20 years experience providing residential, commercial and municipal customers with silky smooth, durable results with asphalt paving. We are a concrete installation company that was started in 2003. We pride our selves in quality work done right. We offer the ability for simple flat pads and sidewalks, to elegant stamped stained creations of art. We are a family owned and operated company. Homeowners in Union often don’t realize just how important a driveway is when it comes to curb appeal; it’s one of the first things guests see when they arrive and one of the last when they leave. 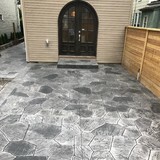 So if your front drive is damaged or you want to switch from, say, a gravel driveway to an asphalt one, hire a Union, OH driveway installation and maintenance professional to help you create your dream driveway. From installation to repair, Union, OH driveway contractors are responsible for a variety of planning, installation, construction and driveway maintenance services. Driveway materials. While most driveway contractors in Union, OH primarily work with asphalt, they are also experts on the wide range of available driveway materials. If you are looking for something different than a standard asphalt driveway, your pro can help you select driveway pavers or customize a brick driveway design. A driveway installation and maintenance professional may work closely with a Union, OH builder, landscape professional or various manufacturers and suppliers. Find a Union, OH driveway installation and maintenance professional on Houzz. Narrow your search in the Professionals section of the website to Union, OH driveway installation and maintenance. You may also look through Union, OH photos to find examples of driveways that you like, then contact the professional or contractor who worked on them.